i Click 'view all' to instantly compare this ok deal with offers on other top ps4 games. 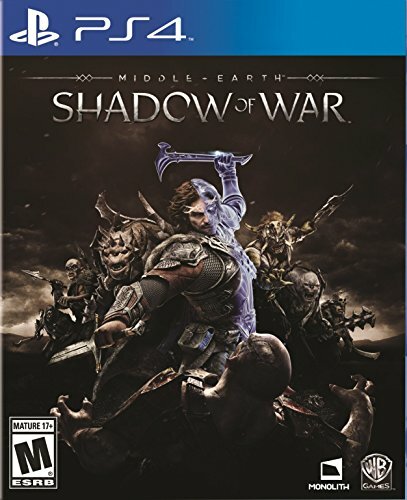 Middle-Earth: Shadow Of War PlayStation 4 is currently selling at $12.49, approximately $0.30 higher than average, giving a potential saving of $1.31 right now. With a lowest price of $9.99 and an average of $12.19 it is selling on the high end of its usual range. Price volatility is 1.19% (meaning it does not change often), so you might have to wait a while for the price to drop. Right now this product is a recommended 'ok deal'. Compare the current price, savings (in dollars & percent) and Buy Ratings for the top PS4 Games that are closely related to Middle-Earth: Shadow Of War PlayStation 4. Here is how Middle-Earth: Shadow Of War PlayStation 4 compares with other leading PS4 Games. The sequel to the critically-acclaimed Middle-Earth: Shadow of Mordor - winner of over 50 industry awards - arrives this August, continuing the original story of Talion and Celebrimbor, who must now go behind enemy lines to forge an army and turn all of Mordor against the dark lord, Sauron. Immerse yourself in the epic war for Middle-earth as you confront the Dark Lord Sauron and his Ringwraith's. Forge a Ring of Power to dominate your enemies and command your followers as you experience a unique, personal story brought to life by the award-winning Nemesis System. FeaturesImmerse yourself in the epic scale of Middle-Earth as you forge a new ring and siege epic fortresses to face the dark lord and Nazgul.Experience a richer and more personal world full of new enemy types, stronger personalities and deeper stories - anyone you face can now evolve from a lowly soldier to a mighty overlord.Go behind enemy lines and use strategy, cunning or brute force to conquer Sauron' s fortresses and turn them against him.